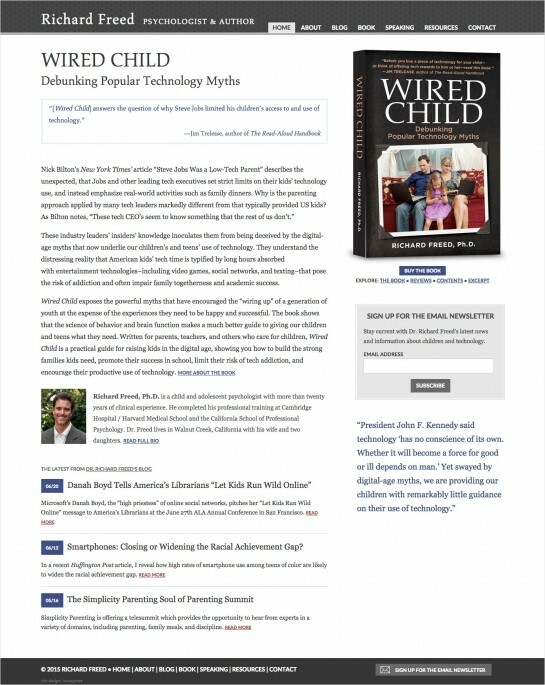 We designed and built this author website for Richard Freed to feature his book Wired Child as well as his blog on topics related to children’s and teens’ use of technology and its impact on the brain and behavior. "The site is quite remarkable. Thank you for everything you put into it."